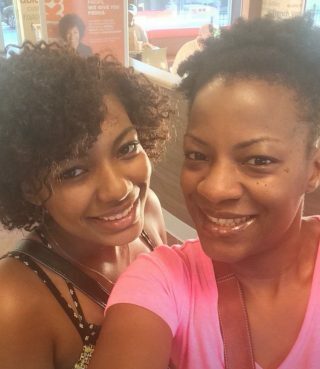 Taje Perkins, left, with her mother, Takiia Anderson, on her first day at Spelman College in August 2015. Many financial advisors would advise flipping those last two priorities: “The same way that airplane announcements tell us parents should put on their own oxygen masks before assisting their children, parents should prioritize saving for retirement and putting themselves in a good financial position before saving for their children’s education,” says Paul R. Ruedi, CEO of Ruedi Wealth Management in Plano, Texas. Yet more parents like Anderson are prioritizing saving for college over retirement — 56% are doing the former vs. 54% of the latter, according to a recent survey by Sallie Mae, one of the nation’s largest student loan lenders. But to do so, Anderson quit contributing to her government retirement plan for two years — a move most financial advisors would caution against. Anderson’s max contributions have aligned nicely with the current nine-year bull market, in which the S&P 500 index has seen annualized returns of about 10%. Photo courtesy of Takiia Anderson.